What do the Four Horsemen represent? The "four horsemen of the Apocalypse" - this latter term being the Greek name for the book of Revelation - have intrigued Bible readers for centuries. The implications for mankind are staggering. Approximately 180 million men, women and children were slaughtered in 20th-century wars. The new millennium has continued the trend, with the addition of mass-murder terrorism. What do history and the Bible tell us about the second horseman of Revelation? 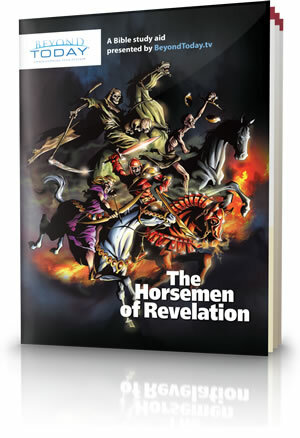 We continue with our second article in a series about the horsemen of Revelation. What's at the Root of War? Volumes have been written describing the root causes of war. The food-rich countries' potential to feed the entire planet makes it hard to imagine a famine extensive enough to thrust the earth into a global crisis. Yet the third seal of Revelation 6, employing the symbol of a black horse, describes just such a horrifying scene. How could this happen? What would be its consequences? 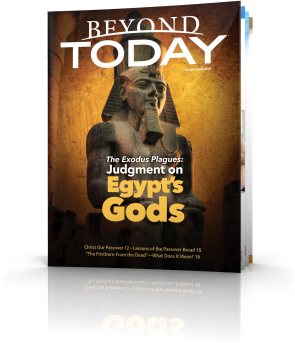 Previous articles in this series covered the meaning of the first three of the horsemen of Revelation—religious deception, war and famine. What does the fourth, the pale green horse and its rider, signify? 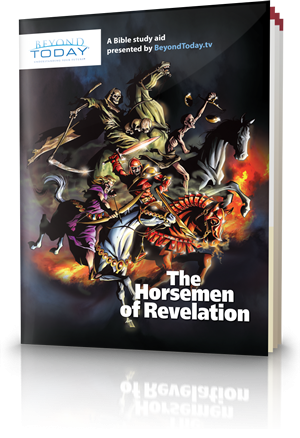 Most Bible students focus only on the first four horsemen of Revelation 6. The phrase "Four Horsemen of the Apocalypse" is synonymous with frightening prophecies. But there is another horseman—a fifth, whose ride signifies a much different future and brings promise of a far better age to come. Since becoming a member of The United Church of God, I have been given the strength to do things I normally wouldn't do. The ability to resist temptation is becoming easier and I am very gratified by this amazing faith in The Lord our God...I encourage all other members to stay focussed and always diligently pray for forgiveness.